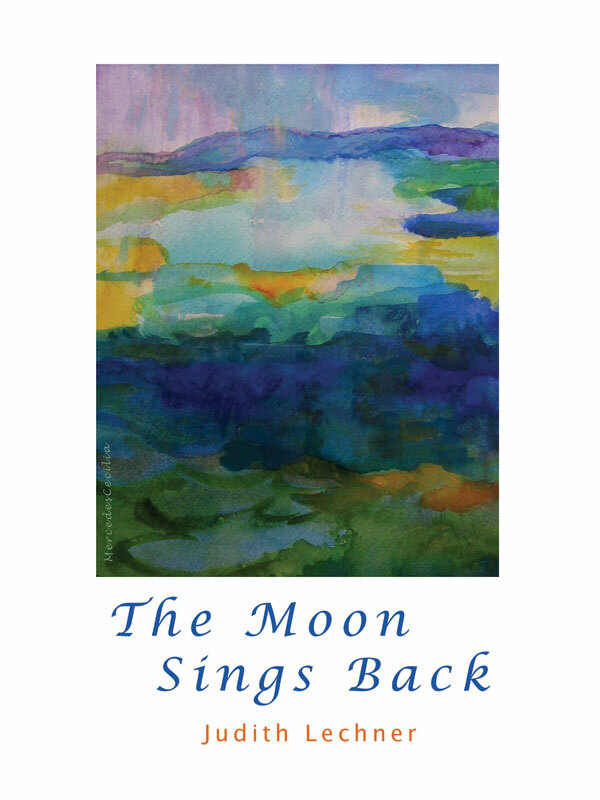 This collection of poems, The Moon Sings Back, is a celebration of both the bright and dark moments of life. A poetic celebration of the joys of love and the charms of nature and friendship is easy to comprehend, but the celebration of dark events and feelings may seem peculiar. However, times of loss—of love, health, and of people important in one’s life, can be times of deepest learning and growth. My aim as a poet is to share my experiences and insights from both the darkness and the light in the hope that they will resonate with readers and remind us of the irony of the glitches in happiness and the gifts in adversity. As a poet, I think in images, which are the inspirations for and foundations of my poems. I also strive for musicality, conciseness, and ironic (and sometimes sly) humor. I hope that readers will find this self-analysis of my poetry helpful and that my poems provide echoes of and insights into their own lives, as well as, of course—enjoyment. Festschrift for Enid Dame. My poems and essays have been read on radio and interpreted with visual art at art galleries. I have been a featured reader at many venues in New York’s Hudson Valley, including the Woodstock Poetry Festival, and am host of a local poetry reading series. Born, raised, and educated in New York City, I graduated from Queens College of the City University of New York and received an M.A. inEnglish and American Literature from Indiana University. I earned an M.S. in Reading Education at the State University of New York at Albany and have been a reading and English teacher. For several decades, I have been writing elementary and secondary school materials for educational publishers. I’m the author of 24 nonfiction books for youngsters that appear in school libraries. Since 1986, I have lived in the natural beauty and intense cultural life of the mid-Hudson Valley with its supportive and inspiring community of writers, artists, and musicians. I couldn’t have made a better choice. You can purchase the book online from Smashwords in multiple eBook formats at http://www.smashwords.com/books/view/72122.